The Three Moles is a traditional countryside real ale house in the beautiful village of Selham, the heart of the South Downs National Park. 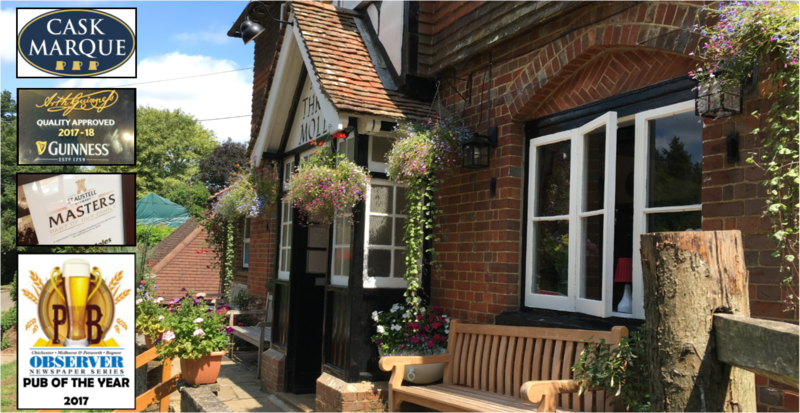 Having been taken over by the new landlords, Tom & Ollie on the 1st May 2017, the pub has been given a fresh burst of life and is regularly frequented by many local and not so local residents along with many visitors to the area. The Three Moles is very much the village living room where everyone is welcome (including well behaved children and dogs on leads) to come and have a great time. There is always a very friendly atmosphere and our loyal local customers just cannot keep away! Come and enjoy our brand new beer garden! We have worked hard over the last 3 months, through rain, snow and heatwaves! It is now finally open!